Assassination teams are nothing new to Iran; their roots go back as far as the 11th century, to a sect of Ismaili Shiite Muslims known as the Nizari. The Nizaris originated from northern Persia, their method of terror being much the same as Iran’s present-day Ministry of Intelligence and Security (MOIS), which carries out acts of espionage and the assassination of key enemy figures on behalf of the Iranian leadership. The Nizaris were led by Hassan Sabah, the way they operated struck fear into the hearts of their enemies, who had nicknamed them the “Hashshasin” – or in English: Assassin. The name Hashshasin originated due to many historians having suggested the group used hashish to ready themselves for combat. But just like today’s MOIS, the Nizari assassins were experts in the use of disguises, they were adept liars, and were trained as “sleepers”, which enabled them to enter communities secretly, where they would lie low, often for long periods of time before they strike. During ancient times, the dagger was the weapon of choice by Nizaris to carry out assassinations, against those who were out to persecute them, a weapon which is still often a preferred tool of choice by today’s MOIS assassins, who use it to deadly effect, often grotesquely mutilating the body of their victim, to strike fear into the hearts of their enemies, reminding them of what lies in store if they cross the Iranian regime. In modern-times, another way a MOIS agent strikes fear into those he is tracking, is to sometimes play mind games with the target. In some circumstances, they would enter the victim’s flat to make their prey feel vulnerable, or as a warning for them to back off, keeping them on edge before killing them at a later date. This is all about escalating the victim’s sense of fear, just as in days of old, when Nizari assassins would leave a dagger under a targets pillow, as a threat to show that person could soon become a victim. The Nizaris were skilled in infiltration; they would setup long term sleeper cells, to allow their operatives to observe enemy strengths and positions, which they would report back to their masters, to give an indication of how the enemy operated. But as well as setting up sleeper cells, they were also masterminds when it came to infiltrating agents into the entourage of their enemy, so that they could be conversant with their enemy’s future strategy, all methods which are still used today by MOIS agents. In days of old, the Nizaris targeted military or political figures, and were not known to have indiscriminately slaughtered civilians. In the ranks of today’s MOIS, there is a section known as “Department 15”, which is basically a team of brutal regime enforcers, who just like the ancient Nizaris, carry out assassinations abroad. Modern day victims of MOIS assassins, often tend to be Iranian dissidents, who pose a threat to the regime. The murders carried out are terribly brutal, designed to instil fear into the hearts of any dissenter brave enough to speak out against the regime, and some of the victims of these hit squads, have died in the most barbaric of fashions. Many of these murders, have been placed at the door of Department 15, not only is the group tasked with assassinations, it is also tasked with “exporting revolution”. Their operatives travel the globe under various disguises, often using the cover of an embassy, or that of a front company setup especially for this purpose, giving them the ability to liaise with various terrorist groups or resistance movements that share common enemies. Once making a connection, Department 15 then build-up a working relationship with such groups, forging links through carrying out shared military operations, or shipping their proxies’ weapons, and as is the case of the Irish Republican Army (IRA), not all of its contacts are Islamist. As far as assassinations ae concerned, it was on December 7, 1979, the first high profile victim of the Iranian Revolution was executed on French soil. The target, Shahriar Shafiq, who held the honorary title of prince, due to being the son of Princess Ashraf Pahlavi, the twin sister of the Shah, was termed by the Iranian regime, as the most threatening member of the exiled Pahlavi Dynasty. Because of his position in the royal family, plus his ability to rouse opposition against the fledging Islamic Republic, Ruhollah Khomeini wanted him dead. It was after the rest of the Pahlavi Dynasty had left for exile, Shahriar decided to stay behind in Iran to continue fighting Khomeini’s revolutionary forces. Eventually realising the fight was lost, he was said to have fled Iran in a hover craft that he had once commanded during his time as captain in the Imperial Iranian Navy, and under heavy fire, he had eventually made it to Kuwait. After joining the rest of his family in Paris, France, Shahriar became very politically active, and had set about organising a resistance movement against the Islamic Republic, with the intention of restoring the monarchy to Iran in the form of the Shah’s son Reza. But after being sentenced to death in absentia by Islamic judge Ayatollah Sadeq Khalkhali, a regime hit squad finally caught up Shahriar outside of his mother’s home in Rue Perglose, Paris, where he was shot dead by a masked gunman. Following this, in July 1980, Ali Akbar Tabatabaei, an Iranian exile and former press attaché to the Iranian embassy in the United States, who was a fierce critic of Ayatollah Ruhollah Khomeini, and had founded the Iran Freedom Foundation in the U.S. state of Maryland, was gunned down at the front door of his home in Bethesda, Maryland, by Dawud Salahuddin, a Muslim convert who was connected to an Iranian militant group, and was said to have been paid $5,000 to kill Tabatabaei. But during 1988 to 1998, a series of assassinations dubbed the “chain murders” took place, the list of victims included in excess of eighty political activists, writers, poets, translators, and ordinary Iranian citizens. The MOIS assassins’ modus operandi varied greatly between each murder, some were slain in staged robberies, many were stabbed to death in their beds or on the rooftop of their homes, one doctor was killed by an assailant posing as a patient, others died in car crashes, and ingenious of all, some were injected with potassium to simulate cardiac arrest. These murders took place during the first term of Mohammad Khatami’s presidency, the MOIS had let loose Department 15 to take care of opponents of the Tehran regime living in Iran, as well as in exile abroad, and with this series of assassinations at first thought to have been carried out by a group of psychopaths, the press dubbed them the Chain Murders. But it wasn’t until November 22, 1998, after a couple were brutally murdered, a pattern to these killings eventually came to light. The couple in question were Darius Forouhar, the 70-year-old leader of the Iran People’s Party, who was stabbed to death along with his wife, Parvaneh, in their flat in Tehran. Parwaneh, who was also a leading opposition politician, suffered in the most horrendous way, through having both of her breasts sliced off by the crazed assassins. The couple had been fighting for years to establish the foundations of a democratic system of government within Iran, which had turned them into enemies of the state. Due to Darius Forouhar’s outspoken criticism of human rights abuses in Iran, which had formed the basis of interviews he gave to Western radio stations, and were beamed in Farsi into Iran, his flat was under constant government surveillance. So, no matter how much the administration tried to deny it, only a member of their secret service could have breached the cordon to slaughter the dissident couple, and would have managed to escape unnoticed. When friends arrived at the house, they were unable to arouse the couple’s attention by ringing the doorbell, and realising something was seriously wrong, a close friend entered the house to check on the Forouhar’s, and what he found had sickened him to the stomach. Darius Forouhar, who had suffered a frenzied attack to the chest with a knife, and had been decapitated, was sprawled across his desk, while his wife lay nearby, her dress blood-sopped and in tatters from the savage attack rent against her. Apparently, the couple had both been sprayed in the face with an unknown substance, and with no sign of a burglary, it could only be concluded that they had died as the result of a professional killing. Even after the worst of the slaughter came to an end, the murders have continued. Among many attacks staged by MOIS, in 1995 came an unsuccessful attempt to kill around twenty dissident Iranian writers and journalists. It came in the form of a staged bus accident in Armenia, in mountains near the Heyran Pass, an attack which was designed to send the bus plunging into a 1000-foot drop ravine, a deed that was eventually laid at the door of one of the leaders of the MOIS team. The writers targeted, were all signatories of a letter condemning the regime over its censorship policies, and they were on their way to a literary conference. 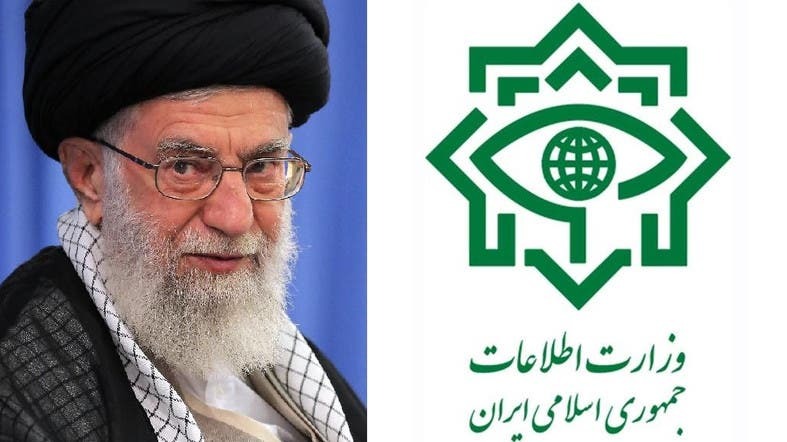 In recent terror attacks, leading up to Hassan Rouhani’s term as president, which have been numerous, the MOIS has been linked to numerous actions. These have included the October 2011, unsuccessful plot to murder the Saudi ambassador to the U.S. with a bomb in a Washington restaurant, where numerous senators dine, which was proved to have been setup by its secret service apparatus with the aid of the Quds Force. Such is the savagery of the Iranian secret service; any form of vile murder comes within their modus operandi. With Donald Trump’s new economic sanctions designed to seriously harm the regime, MOIS assassins are certain to be ready to strike, and with thousands of agents worldwide under their wing, many of whom have entered their targeted countries under the guise of immigrants, students, journalists or construction workers, those strikes could be anywhere across the globe. Will the Revolutionary Guards turn against Iran’s mullahs?